A family tie to the Roycrofters shapes a home and four generations. charming than those on Wild Rose Avenue. A couple converts an underused closet into a compact half-bath. Old postcards and photos from the Arts and Crafts era. An academic approach to renovating a home — and a neighborhood. Rethinking a Denver bungalow interior — going smaller. A custom home in Texas with handcrafted roots. Some of the best bungalows in the Midwest, East and West. 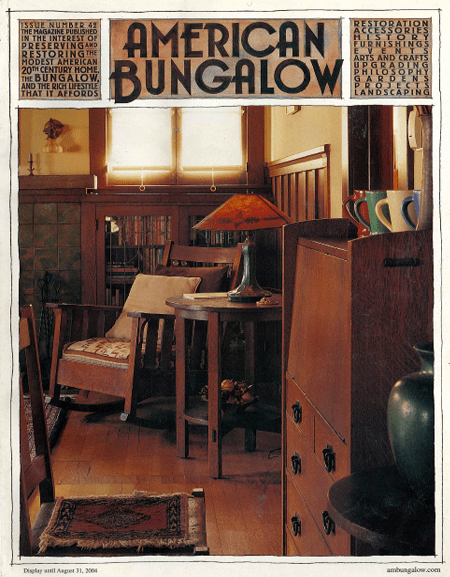 A 1925 bungalow comes through like a trooper.